The Vidyadhara discovered the terma (treasure teaching) of The Sadhana of Mahamudra at a transitional time in his life: between Tibet and North America, as he moved from a robed monastic to a Western lifestyle, and began transplanting the buddhadharma into North America soil. In 1976, having established a strong foundation for Buddhism in the West, he began to discover and teach the Shambhala terma in North America. Terma are discovered and then taught to people of a particular time and place, having been hidden for future use, when the time is right. For example, The Sadhana of Mahamudra is important now as the crazy wisdom of Dorje Trolö-Karma Pakshi conquers the widespread depression of our modern time. Years after the Vidyadhara’s parinirvana, we learned that he had also discovered treasure teachings in Tibet from the very early age of three until he left Tibet when he was nineteen. In 2001, Sakyong Mipham Rinpoche made his first trip to the Vidyadhara’s home monastery in Surmang, Tibet. 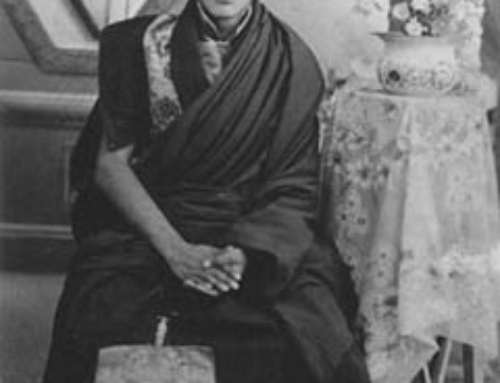 He met many of his relatives there, notably Karma Senge Rinpoche, the Vidyadhara’s nephew, who gave the Sakyong many of the Vidyadhara’s terma and teachings from Tibet, carefully collected over two decades. This collection of teachings is now known as the Vidyadhara’s Sungbum, or Collected Tibetan Works. Among the texts that survive are three ati terma cycles: from The Heart Treasure of Samantabhadra is a practice of the compassion and wisdom of Avalokiteshvara; The Embodiment of the Wisdom of the Three Roots contains a practice of Krodhikali, a black, wrathful form of Vajrayogini; and The Profound Heart Essence presents the practices of peaceful and wrathful manifestations of Guru Padmasambhava. When the Sakyong returned home with these texts, he gave them to us to begin reading and translating. He continues to encourage us in this work, noting that it is very unlikely that we will receive more treasures of the Vidyadhara, so we need to take great care in protecting and translating these. It has been a profound delight to translate and learn some of the deeper meaning of these early terma and writings, and we know these texts will bring great benefit to many. Precisely how and when Karma Senge Rinpoche and Sakyong Mipham Rinpoche will transmit and teach these to students now and in the future is still unfolding. 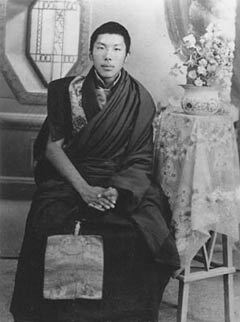 Even though Chögyam Trungpa Rinpoche isn’t currently physically with us, the extent of his activity is always present, and this is my joy. I gathered all of Trungpa Rinpoche’s teachings in Tibet, and then I was able to make connections with his students in the West, and we’ve been able to practice together. 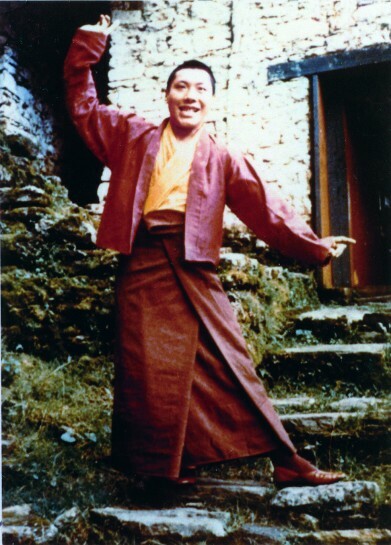 Trungpa Rinpoche was a great siddha. When it comes to the mind and realization of these great siddhas, it is extremely profound. There is still a lot of work left to translate all of Trungpa Rinpoche’s works into English, and arrange and publish them into his complete collected works, in both Tibetan and English. There is still quite a bit to do, so it is very important that we finish this quickly, because birth and death are out of our hands, and we never know what could happen. So it is important that we accomplish this quickly, as quickly as possible. This is what we need to do. Based on his encouragement, we are returning to work with Karma Senge Rinpoche on the translation, refinement, and transmissions of these treasures of the Vidyadhara. In particular, we will be putting the finishing touches on the Avalokiteshvara Sadhana of Nonmeditation, reviewing our translation of the Vidyadhara’s terma ngöndro, completing the translation of the Krodhikali Sadhana and its abhisheka text, and opening further The Profound Heart Essence cycle. The generosity of a small group donors is funding the special expenses for this trip. We are very grateful to them for helping to bring the Vidyadhara’s legacy to all of us. We pay homage to self-awareness, Avalokita. Within you, all qualities are spontaneously complete. Resting without effort, you see nakedly. With the prajna that sees you within ourselves, we praise you. [Kyere Gön], where he was practicing the mandala of The Embodiment of the Wisdom of the Three Roots, while practicing a group ganachakra of the great practice intensive, at the dawn of the evening of the fifteenth day of Chaitra [third Tibetan month], the glorious charnel ground lady [Ekajati], with a terrifying roar of laughter, was seen face to face amidst swirling fire and wind, red and black. In his hand she placed a treasure container, which on the following day opened by itself. Inside it was miraculous red symbolic script of nine seed syllables upon a blue scroll, one fingerwidth wide, and four fingerwidths long. Which is quite simply what the Great Wrathful One is. I take refuge with body, speech, and mind. The first line of the sadhana came into my head about five days before I wrote the sadhana itself. The taking of refuge at the beginning kept coming back to my mind with a ringing sound: “Earth water, fire, and all the elements, . . .” That passage began to come through. I decided to write it down; it took me altogether about five hours to write down the whole thing. During the writing of the sadhana, I didn’t particularly have to think about the next line or what to say about the whole thing; everything just came through very simply and very naturally. I felt as if I had already memorized the whole thing. If you are in such a situation, you can’t manufacture something, but if the inspiration comes to you, you can record it. 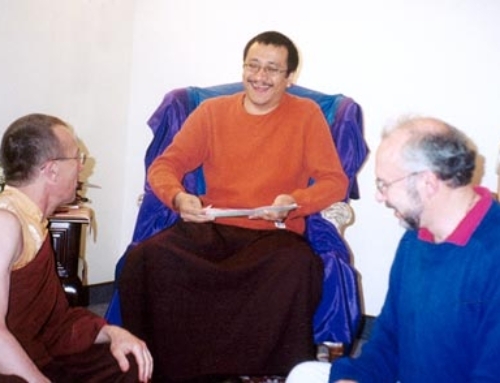 From Devotion and Crazy Wisdom: Teachings on The Sadhana of Mahamudra. In January 1978, on a Sunday morning in Boulder, the Dorje Dradül went to Dorje Dzong. There was a nyinthün scheduled, but nobody was there. The Dorje Dradül went and sat in his office. He requested paper, which Kate Stein, translator and kasung on duty, gave him, and then she sat outside the office. Inside, he was writing down The Letter of the Black Ashe. Kate felt that the energy was quite intense, and at one point Lady Diana came bounding up the stairs, banged on the door and insisted on speaking with the Dorje Dradül. She was furious that he had come to the office and was working on Sunday rather than spending time with the family. The Dorje Dradül had a conversation with her and then she went away and he continued writing. Later, he invited Kate to come in. He showed her the text, and she asked what the title of it was. It appears that he had not written the title down, so he wrote the title down. They then translated the title of the text together, which was The Letter of the Black Ashe. He translated the rest of the text with David Rome later that day. The translation was later reviewed with the Translation Committee. From The Werma Sadhana Manual, “Shambhala Terma and Transmissions,” by John Rockwell.